My husband took our son out fishing this weekend. We're not into fishing, even though I used to teach kids how to fish when I was working as a naturalist, but it's something our son really wanted to try. More than that, it was something he insisted he wanted to do with his dad. So, my husband pulled the rod and reel his dad had passed down to him out of the back of his closet, bought some new tackle and supplies, and the two of them loaded up the car. Our youngest daughter didn't want to be left out, so she tagged along and they made a quick stop at the store to pick up a kid sized rod and reel for her, too. That left just me and our older daughter at home alone all afternoon. I knew exactly what I wanted to do. First, we'd have lunch. 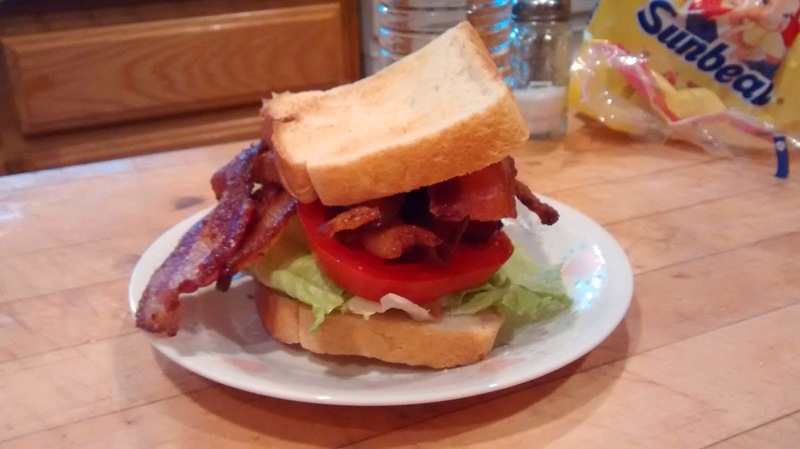 I made my favorite sandwiches in the whole world - BLTs. This time, they were extra good, though, because with just the two of us at home, and a whole pound of bacon to share, our sandwiches were colossal! While we ate our bacon sandwiches, we watched part of the first season of "7th Heaven" on Hulu Plus. My daughter had never seen the show. She liked it. The first episode featured a story line in which Lucy, the 12-year-old middle child, was dealing with the ups and downs of puberty. I found myself glancing over at my own 12-year-old daughter, amazed, because the last time I'd seen the first season she wasn't even born, and now, here she was, old enough to relate. Today was one of those awesome days when I got to spend time with just one of my kids, all alone. With three kids and a busy schedule, my husband and I don't get to do that often. It's important to make time for each of the kids, individually, though. They relate to us differently when their siblings aren't around, and they often talk fondly about the special times they spent with one or the other of us on their own. I know bacon sandwiches and TV might not sound like an adventure, but you don't have to spend a lot of money or plan an extravagant outing to enjoy quality time with your kids. We had a very enjoyable girls' day, just the two of us, and my daughter didn't have to share my attention, or her bacon, with anyone!